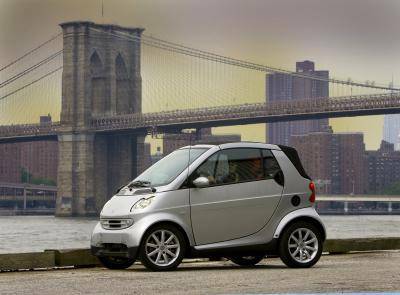 In a recent report by the The Detroit News, the Smart car has lost a total of $4.6 billion since the beginning of the project for parent company Mercedes-Benz. The report says Bernstein Research in London, who did the research, says the huge loss now points to the demise of the electric vehicle and they will go the way of the Dodo bird. We would think that a company that is so into research would do a better job of checking out the industry. It is quite common for auto manufacturers to lose money on the first generation of a new vehicle model. It takes time to recoup the large amounts of money needed to bring a new model to production. This is especially true when the automaker isn’t able to use any current parts or platforms from their current lineup. Just last month, Daimler reported 59,546 units of the compact two-seater smart have been delivered to customers since the beginning of 2013. The smart fortwo electric drive, which is manufactured in Hambach has a market share of around 40 percent and was the clear market leader among all electric passenger cars newly registered in Germany in the first half of 2013. The next generation of the current smart fortwo, which is due to be launched in 2014 is gearing up for production at the smart plant in Hambach, France. And smart fourjoy that was just unveiled at Frankfurt IAA 2013 is the forerunner of a new smart generation of electric cars. When Mercedes-Benz introduced the first three-wheeled, self-propelled, rear mounted single cylinder engine “Motorwagen.” in 1886, the critics also said it wouldn’t last and it was just a fad. It’s a good thing we don’t listen to analysts to predict the future. Mercedes-Benz’s tiny Smart car may be the champion all-time European money-loser of all time, but electric vehicles will be the future and are here to stay. Mercedes-Benz has been the leader in innovation in the past and will continue to be in the electric vehicle segment too.